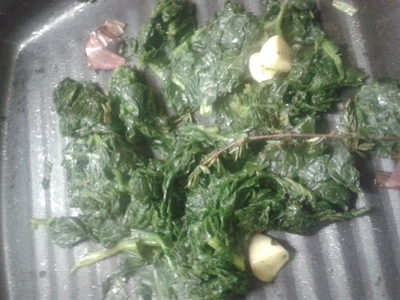 Spinach is one of my favourite greens, but my niece and nephew aren't so keen. 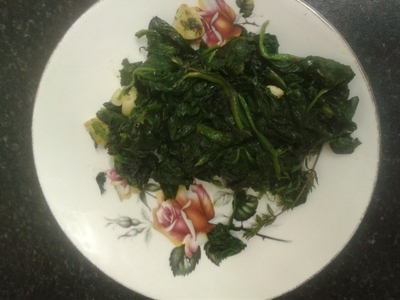 In a bid to make them view it differently I've cooked it with a few simple ingredients, and called it 'Popeye Greens'. It's amazing how you can jazz up greens with a little love, and imagination. 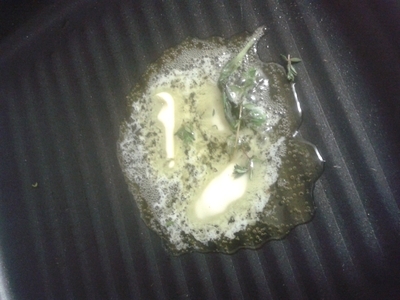 Add the butter, basil and thyme to a griddle pan. 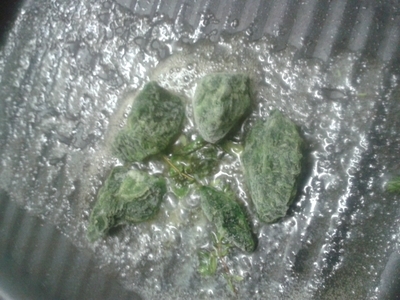 Add the cubes of spinach and cook over a simmering heat for 10 minutes. Toss and move around the pan to soak up the butter and seasoning. 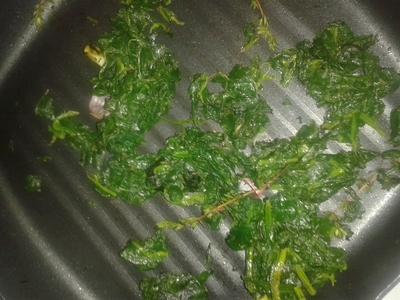 I recommend using frozen spinach because it is ten times cheaper (I worked it out), than fresh, plus it works better in the frying pan than fresh. 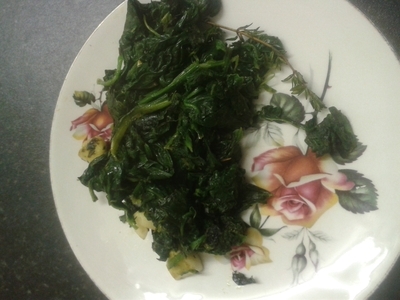 Invest in a bag and you can use a few 'cubes' of spinach as opposed to a whole bag of the stuff. Saving money and serving delicious food has never been so easy.